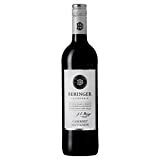 Compare current discounts on Beringer wines in the UK. 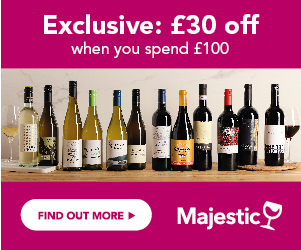 Use our Deal of the Day or sign up to Price Alerts & never miss your favourite bottle on offer. Find exclusive vouchers, Price History & reviews to get the best quality at the cheapest possible price. Beringer is one of the best known names in the Californian wine history, and was one of the first operating wineries in the Napa valley, with a history of over 130 years. 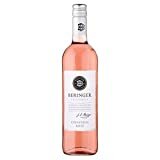 Unlike many other Californian brands, whose philosophy, and marketing angle is based on modern lifestyle, and relaxed entertaining, the Beringer brand is built very solidly on its long and prestigious history and heritage. With California now in 2nd position, behind Australia, with 15% of the market in the UK, sales of these wines continue to grow. Beringer is not one of the biggest in terms of volume, but has a very strong, and loyal following of wine lovers, who enjoy the Beringer range from entry level to its impressive premium wines. The Beringer winery is one of the oldest in California, and certainly the oldest continuously working winery, having survived the years of prohibition in the 1920s. It was founded by 2 brothers, German immigrants, who had come to the States to find a better life, in the 1870s. Jacob and Frederick Beringer, having worked in vineyards in Germany, found the prized land they sought, in the Napa, bought the land, and founded the Beringer wine estate in 1876. Having worked in vineyards in Germany, Jacob Beringer recognised the high quality of the volcanic soils in Napa, and thus the history of the premium range of wines from Napa began, with Beringer at the heart of that age of discovery. The reputation of Beringer wines in California grew, as the brothers developed the business and even survived the prohibition years of 1922-1933, by producing a sacramental wine, made purely for religious purposes! In the mid 30s, Beringer became the first winery to offer public tours, thus starting the Napa wine tourism phenomenon. By the 50s, Beringer was one of the best known Californian wines, drunk by many Hollywood stars. Throughout the late 20th century Beringer continued to invest, grow and build up a strong team of talented winemakers, and occupies a very special place in the history of the Napa Valley, with the Beringer estate and the main house (the Rhine House), still in situ, and declared a State Historical Landmark in the 90s. Now owned by Treasury Wine Estates, the Beringer brand, which had disappeared off shelves in the UK, is making a comeback, with a new range of wines, that fit the mood of fresher lighter styles, but retain the intensity, and premium quality in the top end range. What Styles Of Wine Do Beringer Produce? Beringer Classics – this is a new range, which is replacing the well established Stone Cellars – new packaging, new wines, fresher styles. There’s a lively, tropically fruity Chardonnay, which is worlds’ away from the old style oaked Chardonnays from California; a refreshingly fruity, and not over sweet White Zinfandel; a juicy, low tannin, spiced fruit Zinfandel, and a very blackcurrant fruit-packed Cabernet Sauvignon. There is also a highly popular Sparkling White Zinfandel, with a frothy, raspberry juice flavour. Founders Estate – the wines in this range are produced from grapes, grown in some of the best vineyards along the Californian coast, and offer elegant, well-made, full-flavoured styles of wine, with the focus on elegance. The range includes a modern style Sauvignon Blanc, with a zesty, crisp edge, and a buttery, smooth Chardonnay, with only subtle oak. The reds include a rich, plummy, chocolatey Merlot, and a silky, velvety Cabernet Sauvignon. Premium Range – Beringer produce a host of premium and super premium wines, many of which are only available in the US. These stylish, complex wines are produced from Beringer’s top vineyards, in the Napa, Knights Valley, Clear Lake and Carneros. However, the following have reached our shores... Napa Valley Sauvignon Blanc, which has a vibrant, crisp, yet intense ripe fruit style; Clear Lake Zinfandel, is a gloriously rich, black cherry and spice stylish red, whilst the Knights Valley Cabernet Sauvignon is a dense, rich, blackcurrant and mint classic. The warm climate of California ripens the grapes and ensures full flavoured wines with warmth and character, therefore they tend to match dishes with bold flavours and richness. Chardonnay – The rich, tropical fruit flavours work well with buttery roast chicken, creamy fish dishes, especially salmon, vegetable frittata, roast pork and soft cheeses. Sauvignon Blanc – Zesty, tropical fruit flavours, and a slightly richer, rounder style, is the hallmark of Californian Sauvignon, which works well with Thai prawn curry, lightly spiced fish and chicken dishes, and vegetarian dishes. White Zinfandel – The juicily sweet flavours are perfect with a bowl of strawberries, or a fruity dessert, but the sweetness of these wines, also match really well to spicy Indian dishes. Cabernet Sauvignon – Rich, silky and packed with blackcurrant fruit, the perfect wine to go with roast beef, roast lamb and sirloin steak, as well as steak pie, casseroles, grilled or barbecued lamb cutlets, and juicy steaks. 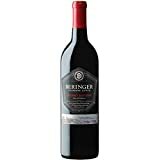 Beringer Merlot – A grape variety that works really well in California – rich, plummy, and intensely fruity, it’s great with spiced up barbecue dishes, beef casserole, fajitas, and roasts. Beringer Zinfandel – California’s native grape, this produces rich, spicy, velvety smooth reds, which are great with all kinds of game, rich stews, and work very well with spicy Mexican, and Chinese red meat dishes. 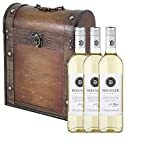 The more premium and rare wines in the portfolio, follow the same principles, but which each level, the occasion becomes more special, as does the food – poached whole salmon, duck, quail, top quality chicken, beef wellington, but also the simplest and best cooked meats, which allow the wines to truly express themselves.